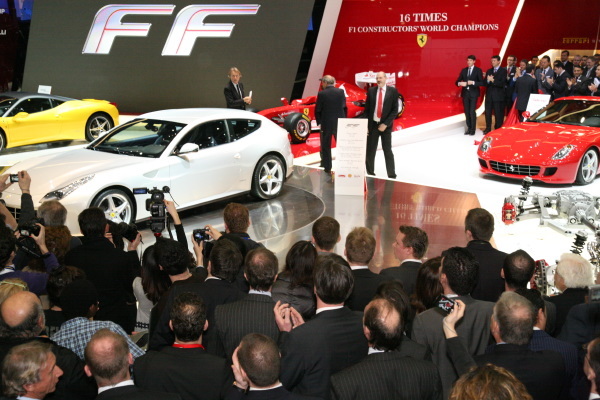 The 2012 Ferrari FF made its official debut at the Geneva Motor Show. 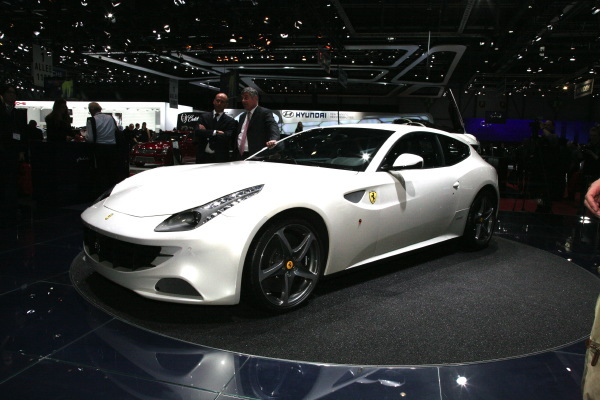 The all new Ferrari FF is the venerable Italian motor car company’s most powerful, versatile four-seater ever. In fact it is the automaker’s FIRST ever four-wheel drive car. This new V12 melds an extremely sporty, high-performance character with incredible versatility, superb comfort and sophisticated elegance. 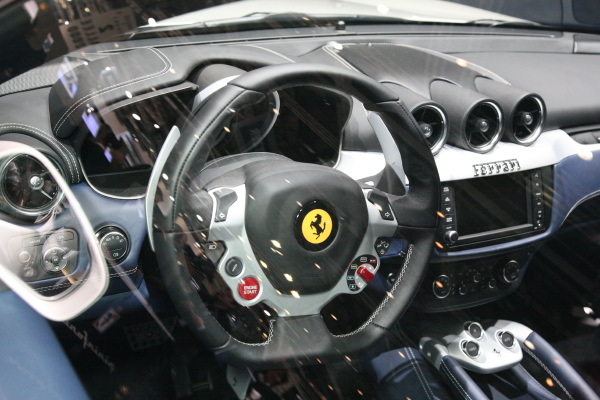 Guaranteeing both driver and passengers an absolutely unique driving experience. 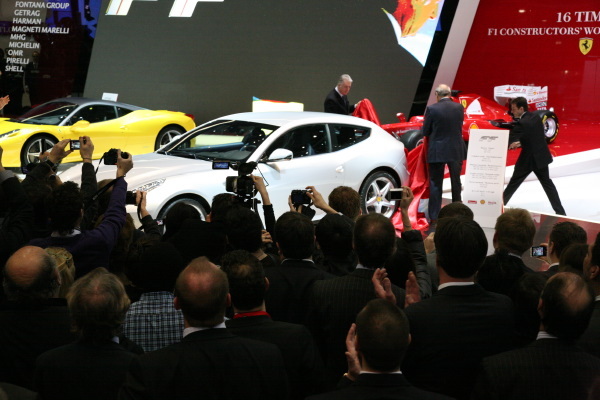 The FF features the company’s first ever four-wheel drive system. 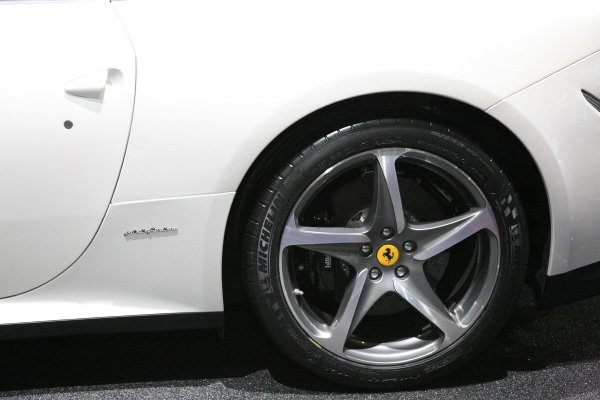 Ferrari’s exclusive, patented 4RM (four-wheel drive) weighs 50 per cent less than a conventional four-wheel drive system. Completely integrated with the car’s electronic dynamic control systems, the four-wheel drive technology delivers record levels of performance on all terrains and in all conditions via continuous and intelligent predictive torque distribution to all four wheels. 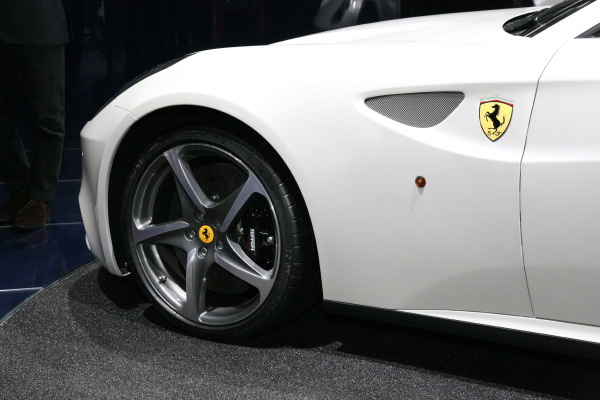 The FF is also equipped with the latest magnetorheological damping system (SCM3), as well as the most recent development in carbon-ceramic brakes from Brembo. Exceptional performance levels come courtesy of the new 6,262 cc direct injection engine. 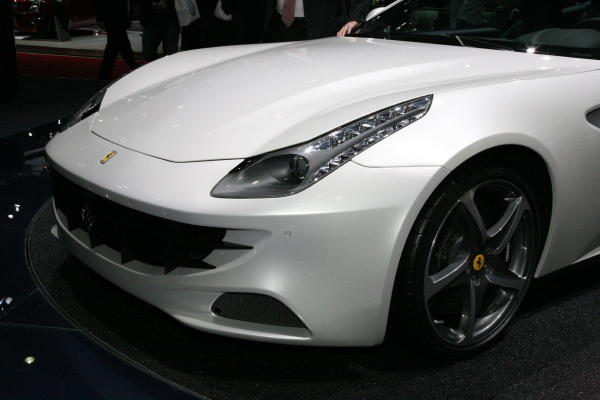 In tandem with its transaxle dual-clutch F1 gearbox, the FF guarantees stunning acceleration figures (0-100 km/h in 3.7 sec.). The new model’s class-leading weight-to-power ratio of 2.7 kg/CV, along with its ideal weight distribution, ensures exceptionally responsive handling. 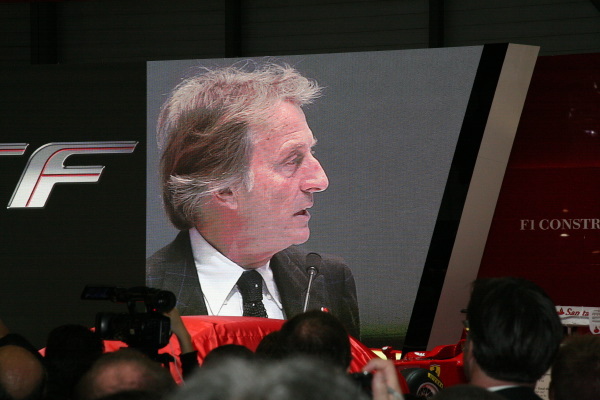 The result is that owners will be able to enjoy the FF’s prowess over a wide range of uses. 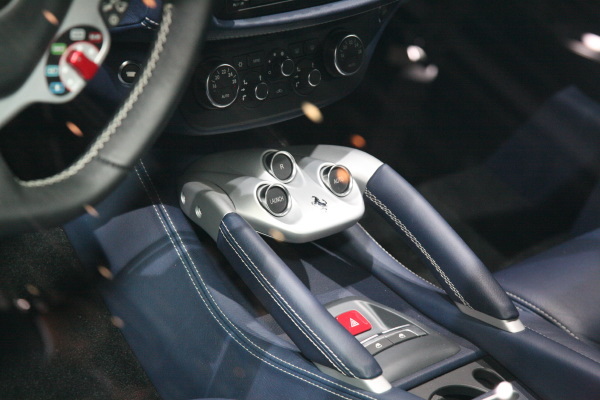 Performance aside, Maranello’s latest model also offers standards of passenger space, comfort, in-car spec and equipment previously unheard of in such a high-performance car. It can comfortably accommodate four people and their luggage. 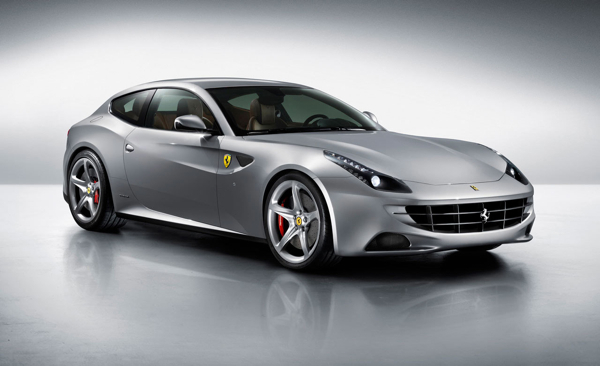 Everything aboard the Ferrari FF is tailored specifically to the needs and tastes of the driver with a choice of six exclusive colours, but it doesn’t stop there. 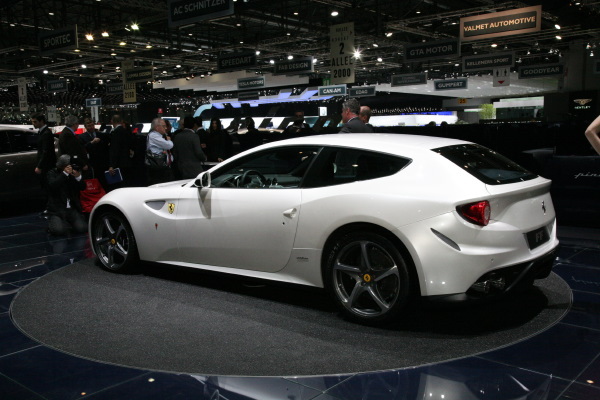 The Ferrari FF’s exceptional specification enhances in-car enjoyment for all four occupants.